Paratext is pleased to announce that all of the reference works from the Sharpe Online Referencecollection have been added to the nearly 50,000 scholarly subject encyclopedias and other scholarly reference titles accessible via the Reference Universe service. 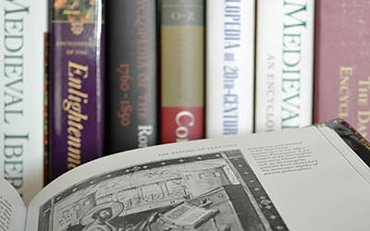 Sharpe Online Reference (SOLR) includes the titles that make up the U.S. and Global History and Culture collections. SOLR brings together award-wining subject coverage, the convenience and flexibility of online research and a fresh new approach to digital content ownership.